MedMen West Hollywood is one of those dispensaries that you want to show off to your friends visiting from states that haven’t yet legalized cannabis. It’s bright and airy with stylish glass cabinets displaying one of the widest selections of premium cannabis products. There’s everything from edibles and topicals to concentrates and top-quality flower. In addition to a super sleek interior and variety, the budtenders have a rich understanding of cannabis genetics and the effects of different types of herb. They really take the time to ensure each patient has the best experience; whether it’s their first or fifteenth time visiting. 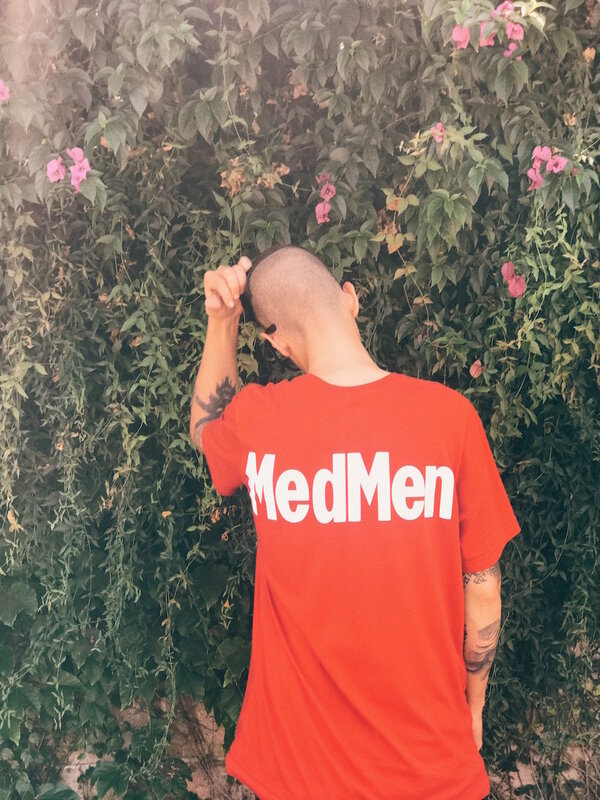 We caught up with Tony Guzman who has been budtending at MedMen West Hollywood for a little over a year. What’s the best thing about this location? One of the benefits of being located in West Hollywood is that it brings in a wide range of unique customers. I get to meet dope people and hear their cool stories daily. I love the art of communication and storytelling. How long have you been at MedMen? I’ve been at MedMen West Hollywood a little over a year. I was managing a shop on Melrose in Hollywood before I was here, and before that, I was in Denver, Colorado for about five years. That’s where I got into the cannabis industry. For many of the people working in cannabis, it happened unintentionally, was that the case for you? I’ve always enjoyed customer service jobs. My first legitimate job in this industry was working at a cannabis shop in Denver. It was time for a change and I decided to move out to LA and plan on sticking around. What’s exciting you most about the future of cannabis? I think it's an exciting time in general... it was so interesting to see what happened in Colorado and I'm excited to see the magnitude of what will happen. Do you have a general strain preference? I'm an indicia guy and a big fan of outdoor flower because it feels the most natural to me. I think that’s part of the reason why I really dig Marley Natural as a brand, especially the joints. I find that they burn really well and evenly – that’s key with pre-rolls. Are there any tips you’d give someone hoping to become a budtender? I try and interact in the most authentic and natural way that I can. I've met great friends on the sales floor and developed relationships with the really amazing people who come in here as patients. To become a good budtender, you have to care about people and really want to help them. Patients come in and specifically ask for my help at MedMen -- that makes me happy. MedMen stocks the full collection of Marley Natural’s core strains of flower, oil and pre-rolls.